I’ll be honest: I wasn’t really into using a mobile wallet prior to this fall. But thanks to a few new Chase Pay promotions, I am quickly becoming a convert. The newest offer, for instance, will net you approximately $22.50 worth of bonus Ultimate Rewards points (on top of your normal rewards earnings), just for paying with Chase Pay instead of swiping your card. Two days ago, the promotion below landed in my inbox. I currently carry the Chase Sapphire Preferred card, and have been trying to rack up the Ultimate Rewards points for future travel plans. So, the idea of 1,500 free points is more than welcome. 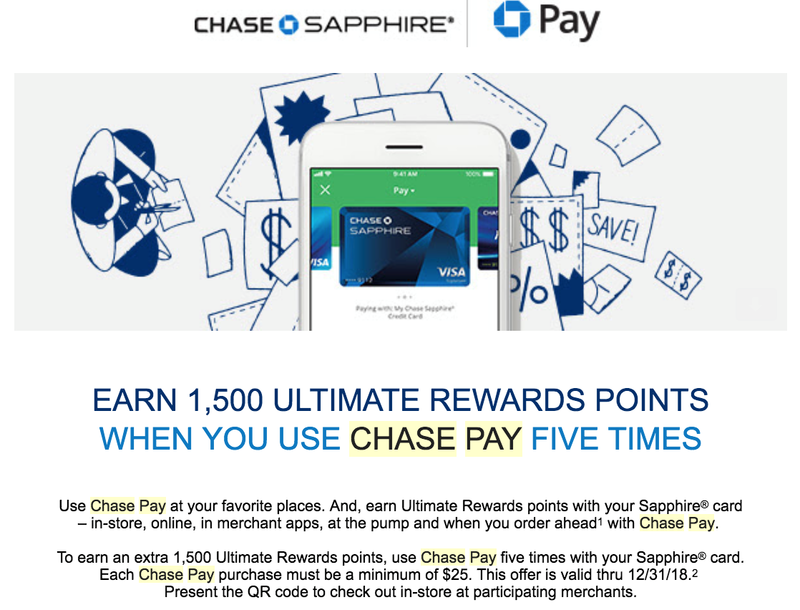 The new offer will earn eligible Chase Sapphire cardholders an extra 1,500 bonus points when they complete five Chase Pay transactions between now and December 31, 2018. Depending on which Chase Sapphire card(s) you carry and how you redeem those points, that could equate to as much as $22.50 in free money, in addition to the points you will already earn for the purchases themselves. That’s well-worth trying out the Chase Pay mobile wallet, in my opinion. 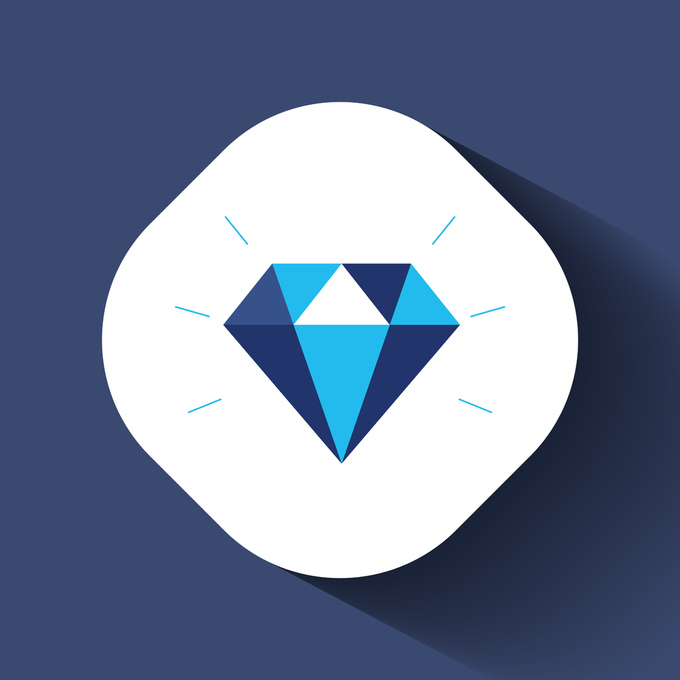 Chase Pay is a mobile wallet app that can be used with all eligible Chase Visa credit cards. If you carry one of these cards and log in to the app, your card(s) will automatically be preloaded and ready to use. You can use Chase Pay in lieu of swiping your credit card at participating merchants, including everything from gas stations to your local sandwich shop, movie theaters, and more. You can either pay at the register or order ahead and pay with the app directly, making it easier to buy on the go without even having to carry your card around. Forget your wallet at home? Just pull up Chase Pay at a participating merchant and you are good to go. There are also multiple special offers through the Chase Pay app. For instance, some merchants offer bonus points or cash back when you link your loyalty programs to Chase Pay (I earned an extra $0.25 per-gallon discount with Shell, and $5 off my sandwich order the first time I ordered ahead through the app). And now, when you use Chase Pay five times before December 31, 2018, you’ll snag 1,500 bonus Ultimate Rewards points. The value of Ultimate Rewards points depends on two things: how you redeem them and which Sapphire card(s) you carry. If redeeming those points for cash, you’ll earn $0.01 per point. 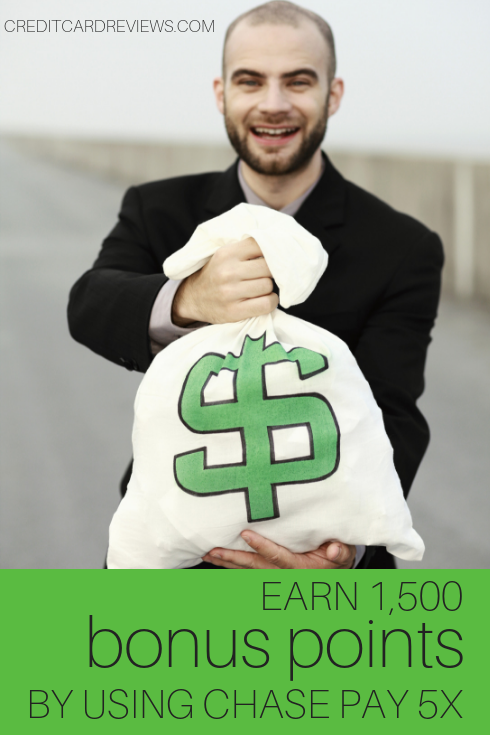 This makes the 1,500 free points offer worth $15 in cold hard cash. This is in addition to the points you’ll already earn for those purchases, which is a pretty great deal! If you really want to optimize their worth, though, you should redeem through the Ultimate Rewards portal. With the Chase Sapphire Preferred card, you’ll get a 1.25x value on your points when redeeming for travel. This means that your free 1,500 points will be worth $18.75. While this won’t cover airfare or even a checked bag, it’s still nearly $20 in cash that you didn’t even have to work for. If you have the Chase Sapphire Reserve card instead, your free points will be worth even more. With the premium card, points are redeemable for travel at a 1.5x valuation. This means that 1,500 points is worth either $15 in cash, or $22.50 toward eligible travel expenses booked through the Ultimate Rewards platform. That’s almost enough to cover a checked bag on certain airlines, or a day of your next rental car – awesome! If you already carry a qualifying Chase credit card, and are earning Ultimate Rewards points, you should definitely take advantage of this offer. All you have to do is download the app and use it to pay at the register – or ahead of time – on your next purchase at a participating merchant. Use Chase Pay only 5 times between now and the end of the year, and you’ll earn an extra $15-22, in addition to your typical points earned. That’s worth an app download to me!